The SQ11 Mini Camera comes with 1080P Full HD DVR Recorder. It features compact design, portable handheld and supports TV output and TV monitor video connection. The SQ11 Mini Camera comes with 1080P Full HD DVR Recorder. It features compact design, portable handheld and supports TV output and TV monitor video connection. The compatible systems are Windows ME / 2000 / XP / 2003 / Vista, Mac OS, Linux. It can even work with your FPV with a camera sleeve or a type which can help to hold the mini camera on the FPV. • 120 degree provides you wide view. 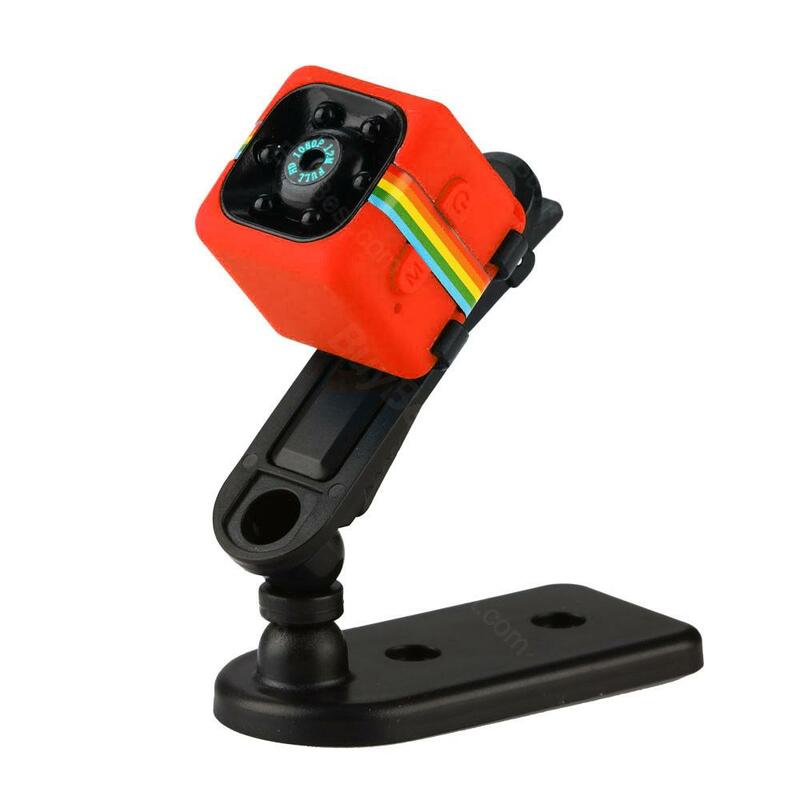 • Night vision supports capturing high definition pictures during night or dark environment. • The timestamp is conducive to look through. • High definition full HD1080P. • One key to lock the video in case of an emergent situation. • Loop-cycle recording saves the storage space efficiently. • Support maximum 32GB TF card memory storage ( not included ). • You need to buy and use something like a type or camera sleeve to use it with your FPV. • Quick link: Q7 HD Wifi Camera. 시중에 비싸고 좋은 상품이 많은 반면 가격이 저렴해 해상도가 별로지 않을까 잦은 고장이 발생치 않을까? 몇번 쓰면 불량으로 사용 못하지 않을까 걱정이 굉장히 많았는데, 이건 가격대비가 아니라, 굉장히 우수한 상품입니다. it is small and portable, and the extra lens allows you to take videos of different styles, from close to far, from narrow to wide.